Are you getting the most out of your VOIP provider? You might have missed some necessary VOIP benefits when choosing your system. Take a look at these five features to make sure your current system is enough. Are you frustrated by the lack of capabilities of your current office phone system? Are you tired of spending what feels like half of your working hours trying to return calls, take messages, and schedule meetings by telephone? If so, then it sounds like it would serve you well to learn more about the advantages of voice over IP phone system. In this post, we’ll tell you all about five of the most crucial VOIP benefits that your company can’t afford to be without any longer. Keep on reading to learn how to shorten your sales cycle and increase both employee and client satisfaction in the process. Meetings can take up anywhere between 35-50% of your workday. The only thing more annoying than attending meetings that really don’t accomplish much? Wasting an insane amount of time trying to schedule them and get everyone in the same room at a time that works for them. Enter one of the biggest VOIP benefits: conference calling. Whether you’re meeting with people in a different time zone, those who work on a different schedule, or if you’re just trying to save yourself a little driving time, this is a VOIP feature that’s non-negotiable for a business of any size. Plus, with the right service, you won’t have to worry about dropped calls and costly miscommunications that can end up threatening your business’s reputation and compromising your networking relationships. Now, everyone can clearly hear each other, be on time for meetings, and get the job done — no matter where they’re calling from. About half of employees say that they deal with serious mental — and even physical — exhaustion while they’re at work. While you always want to make yourself available to your clients, you also need to ensure that you have just a few moments to yourself. The last thing you want to do is end up taking important calls when you’re not at your best. This is where the do not disturb VOIP feature can seriously benefit you. When you’re meeting with a client, you can also turn this feature on to avoid disruptions. There are also do not disturb VOIP features that allow you to automatically transfer a call to an available and relevant employee when you’d rather not be bothered. This way, you can relax without worrying about your overall business efficiency being compromised in any way. Sometimes, you’re not so exhausted that you need to take advantage of the do not disturb VOIP feature. The thing that you’re concerned with: being able to have your work calls forwarded to your personal cell phone or even your home telephone number. After all, we understand that there are few things more frustrated than feeling like you’re chained to your desk because you’re waiting for an important business call to come in. Through the use of call forwarding, you can decide which of your phone numbers you’d like for your work calls to be automatically routed to when you leave the office for the day. Do you feel like you spend a huge amount of your normal business day trying to keep track of your databases, your inventory, or even who has made specific sales or spent the most time on the phone? Believe it or not, the right VOIP phone system can actually help you to evaluate which of your employees are making the right amount of calls, and which ones might be slacking. The right phone system can also help your employees to get immediate information on client histories when they call into the office. This way, they’ll have all the data and history that they need to make the call go as smoothly as is possible. It’s easier than ever to find a phone system that allows you to combine your customer relationship management with your overall client data. It can even help you to keep track of the best numbers to reach clients by. One of the biggest advantages of voice over IP? Not only can it record important business calls that you’ll need to refer back to in the future. In some cases, your VOIP phone system will even be able to send MP3 recordings of your messages straight to your email inbox. This is especially helpful when you’re out of the office and away from your work phone. It’s also convenient when you think you’ll need to save copies of your essential voicemails — whether you want to keep track of them for business purposes or even legal protection. Your voice messages will remain in your inbox until you decide to delete them. To protect your privacy, always ensure you’ve chosen a strong email password. Which of These VOIP Benefits do you Still Need? We hope that this list of the five most crucial VOIP benefits has helped you to identify what might be lacking when it comes to your own company’s business phone system. Remember that you are entitled to phone systems that allow for conference calling, data integration, call forwarding, and much more. After all, the overall efficiency of your business — not to mention your company’s reputation with your clients — is at stake here. 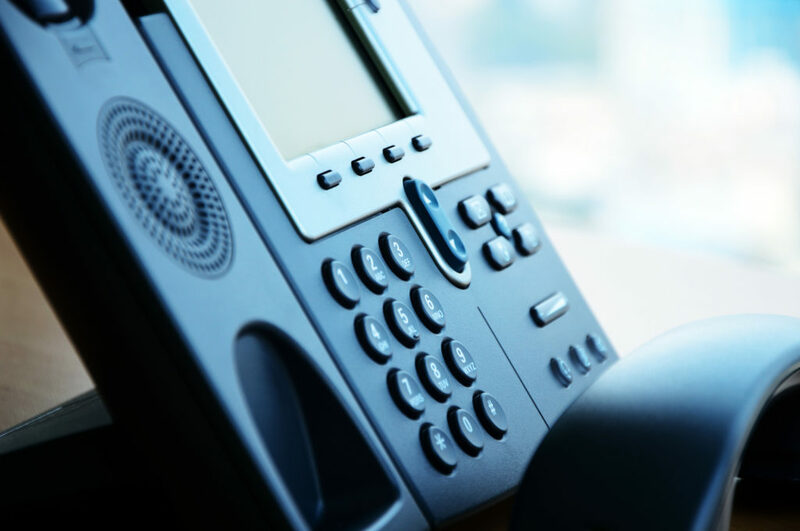 When you’re ready to seriously upgrade the phone systems in your office, we invite you to spend some time on our website and learn about what we can offer you. Then, get in touch with us when you’re ready to make a change for the better.